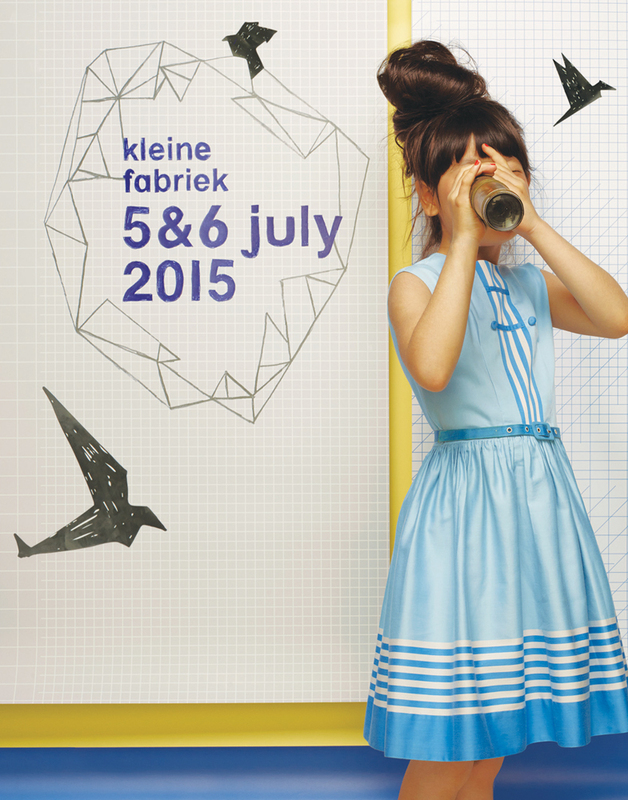 On 5 & 6 July, kleine fabriek will be hosting the professional children’s fashion event at RAI Amsterdam. 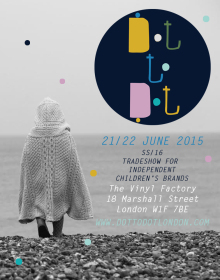 Styled to the nines as always with a programme full of professional knowledge and inspiration; of course, the focus will be on all the exquisite children’s fashion and lifestyle brands, which will be presenting their latest collections. A selection of the coolest newcomers, news on our ‘usual suspects’ and even more brand news coming up! We dropped a few names in the first update, proud as we are of the great new brands there are to discover every season at kleine fabriek. Brands such as New York-based Etiquette Clothiers, with their fine Italian quality socks, underwear and ‘Colette level’ basics – earlier this year, they opened a lovely new brand store in Amsterdam. Brands Unlimited is debuting an awesome list of footwear brands: New Balance, Superga, Primabase and Julz – more on the shoes presented at kleine fabriek later on. Other new fashion includes Little 10 Days, the new kids’ line by relaxed, typically Dutch fashion and living brand 10 Days, the brand-new Dutch baby and children’s clothing brand Little District, as well as ‘global brands’ such as Lapin House, European Culture Junior, Charlie Choe sleepwear and stylish kids’ UV swimwear & beachwear by Sunuva. We are equally as proud of the long list of ‘usual suspects’, who loyally participate in kleine fabriek and remain leading in the entire industry with fervour and constant creativity. These include top Dutch brands such as Room Seven, Le Big, Z8 or WILD with their lovely digital photo prints of natural beauty on jerseys, swimwear, bags and shoes (with an Oeko-Tex certificate for environmentally friendly textile, starting this summer!). This season, Tumble ‘n Dry is introducing the newborn collection ‘Zero’, and Barts, known for their popular winter accessories, will present kids’ summer wear for the very first time. Gaastra will also be present, along with big news: “We are very happy to be launching our new Junior Girls collection on this essential platform. Introducing a fun and twinkle Girls collection in addition to our successful Boys’ collection fits in the expansion strategy we aim to implement with Gaastra for our Junior collections. 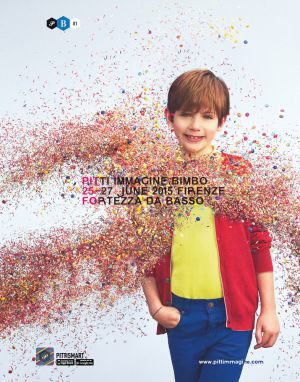 Kleine fabriek plays a crucial role in that; it provides us the opportunity to show our new Boys’ and Girls’ collections to a wide audience,” says Oliver Frielingsdorf, General Manager of Gaastra International Sportswear. There will be plenty of fashion chauvinism to go around, since at least as many regular kleine fabriek names have roots in other fashion capitals, such as the super cool Paris-based Zadig & Voltaire, Italian-based Patrizia Pepe, Silvian Heach and Aston Martin, the French Le Temps des Cerises, American Outfitters from Belgium and the Turkish/Danish brand Wakamono, to name a few. As it is in adult fashion, shoes, accessories and living collections are becoming increasingly important in children’s fashion. More and more clothing brands are adding shoes to their collections and we are seeing more and more iconic, specialised shoe brands. In addition to aforementioned newcomers New Balance, Superga, Primabase and Julz, you will find everything from Bergstein with its classic rain boots to authentic flip flops by Ipanema and Amazonas in the range of shoes presented at kleine fabriek. Brands will also include strong locals such as Tilburg-based Shoesme (handmade in Portugal) and icons like Ewers offer an amazing socks collection. 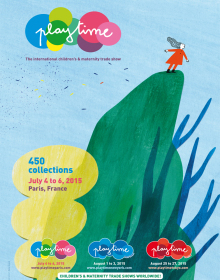 By ‘stuff’ we mean everything you want but can’t wear, like Jellycat’s super soft stuffed bunnies, or Kenana Knitters’ complete knitted zoo, Janod’s wooden toys, brightly illustrated tableware by Petit Jour Paris, or museum shop favourite Shanghai Toys.